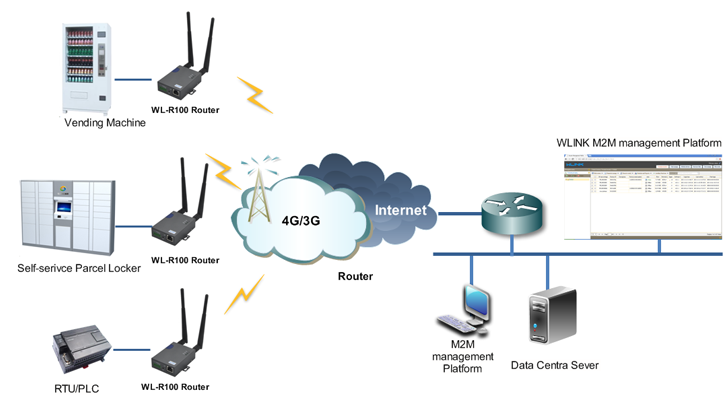 Industrial Cellular Routers for 4G / 3G mobile networks, high performance and industrial casing design, ideal for various of IoT and M2M application. 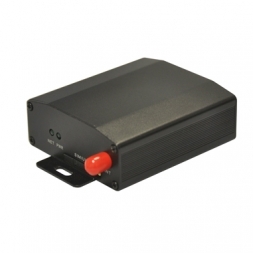 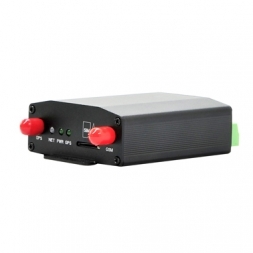 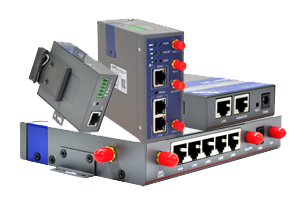 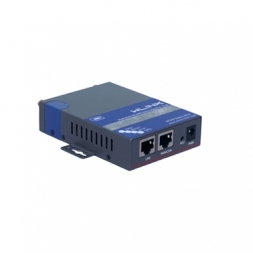 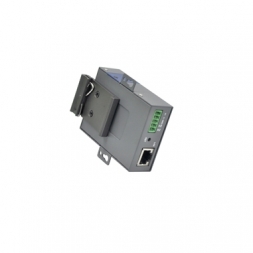 Robust Serial to IP modem (also named DTU) equipped with PPP, TCP/IP and DDP protocol, converts the serial data (RS232/485/422) into IP data and then transfers this to a data center through the GPRS / 3G / 4G network. 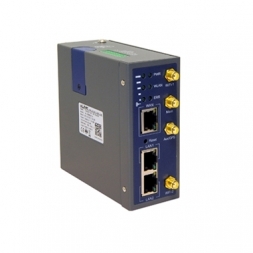 Industrial Cellular Modems with RS232/RS-485/USB 2.0 interface. 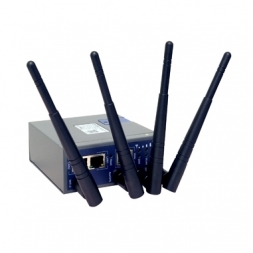 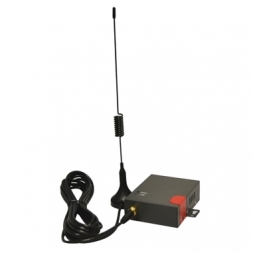 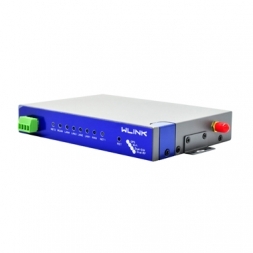 The modem provides SMS and dial-up function using 3G / 4G Cellular networks. 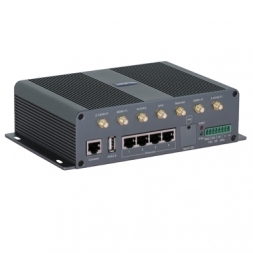 The robust D80 series Serial to IP modem (also named DTU) is equipped with PPP, TCP/IP and DDP protocol, it converts the serial data (RS232/485/422) into IP data and then transfer to a data center through GPRS / 3G / 4G network. 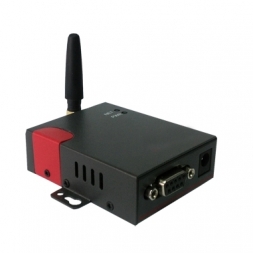 The rugged D80 series serial to IP 3G modem (called DTU as well) is a cellular modem have been developed especially for M2M application. 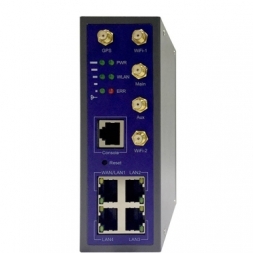 It provides RS232/RS-485/RS-422/TTL interface and equipped with PPP, TCP/IP and DDP protocol, it could convert the user data into HSPA+/HSDPA 3G network and transmits the data to the customer’s data service center through complete transparent data channel, allows a simple and rapid integration of cellular network connectivity into M2M application. 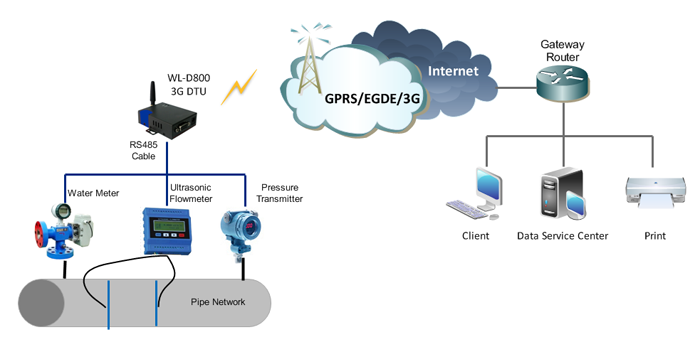 With the robust, reliable, long life and compact metal case design, the D80 DTU ideally adapts to onboard standard, easy to deploy and maintenance, it has been widely applied in many fields worldwide, such as power SCADA, oil field, coal mine, weather forecast, environment protection, water conservancy, heating, natural gas, petroleum and so on.